Mesh Networks and Surviving Natural Disasters in El Salvador — CIC ""
We recently had a surprise visit from fablab counterparts in El Salvador, when Mario Gomez and Emilio Velis arrived in Boston to attend the Open Source Hardware Association conference at MIT. 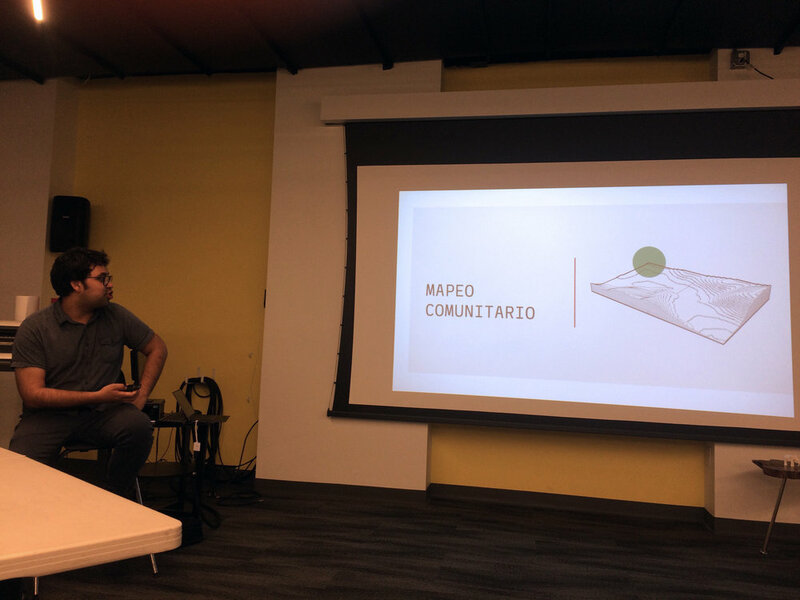 While they were here, they offered a workshop to share their expertise in mesh networks and the systems they've helped devise alongside communities in rural El Salvador to cope in the aftermath of natural disasters. Telecommunications in El Salvador are frequently disrupted following earthquakes, hurricanes and volcano eruptions. How do cut-off communities communicate the danger they're in or their needs with neighboring communities and local authorities? Enter Torogoz, the mesh network device developed by Reacción (Red de Acción Communitaria - Community Action Network) and named after El Salvador's national bird. These devices are low-power and connect to a network where bottlenecks don't exist. If a node that is an intermediary between two other nodes is broken, the network can reroute the bit of information to have it reach its destination node anyway. In post-disaster settings, this means communities that are cut off from regular telecommunications can still send and receive signals to indicate levels of distress. Mario, Emilio and the founding communities have developed shared protocols for using the devices, essentially created a radio language to speak clearly through all the confusion during post-disaster recovery. Here in Boston, we followed the same process to make our own mesh devices. Using boards similar to Arduino, we delicately placed on all the electrical components - LEDs, resistors, capacitors - and baked them in Fab's toaster oven to seal the solder paste. In a few short but intense hours, we produced a set of devices that could participate in a response to .... wait, does Boston have natural disasters? Maybe slow but steady sea-level rise counts?